Salon Sarah stylists are committed to offering our clients an experience beyond compare. We do so by providing exceptional service, consider your lifestyle when crafting the final look, and utilize the best professional products on the market. We maintain successful hair collaborations with our clients, because we have mastered the ability to personalize each service to meet your specific needs. 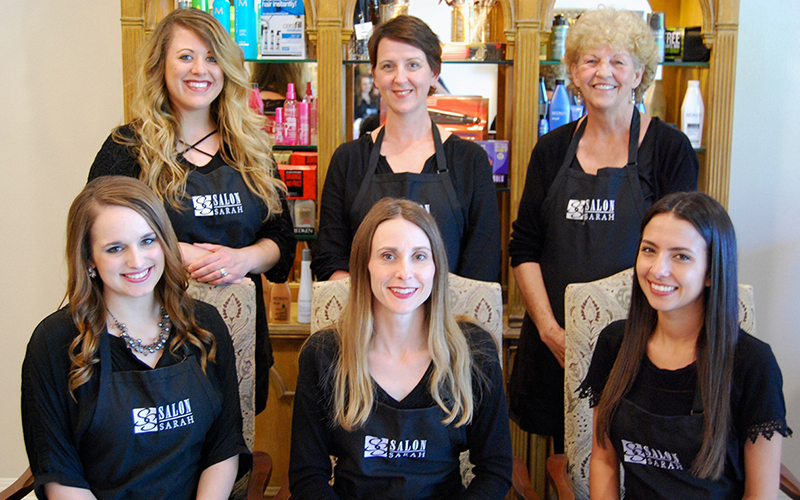 The Salon Sarah team strives to exceed your expectations with an uncompromising pursuit of excellence and a firm dedication to your satisfaction. Please arrive 10 minutes prior to your appointment. We schedule appointments according to the amount of time required for the service requested. Please let us know if you are running late, and we will do our best to accommodate you. In the event you are not able to keep your appointment, a 24 hour cancellation notice is greatly appreciated. Give the gift of great hair! Our gift certificates are ideal for holidays, birthdays, and anniversaries, as well as a thank you to employees and business clients. Please call (512) 864-0869 for more information.